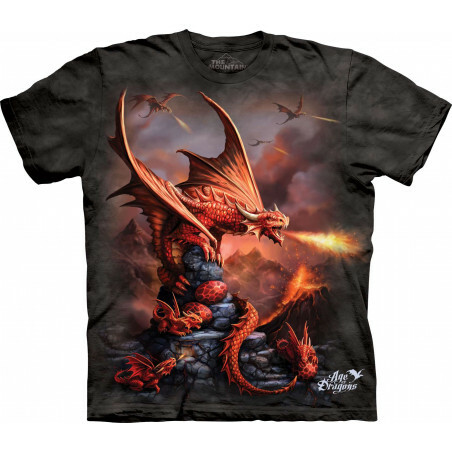 Dark Fantasy T-Shirts & Clothing The Mountain There are 126 products. 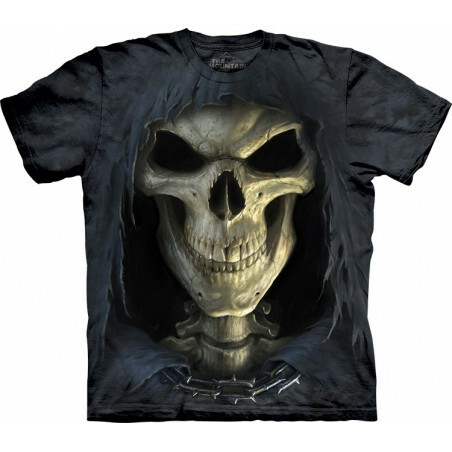 The cool Cool Big Face Skull T-Shirt is masterpiece at a great price from The Mountain. 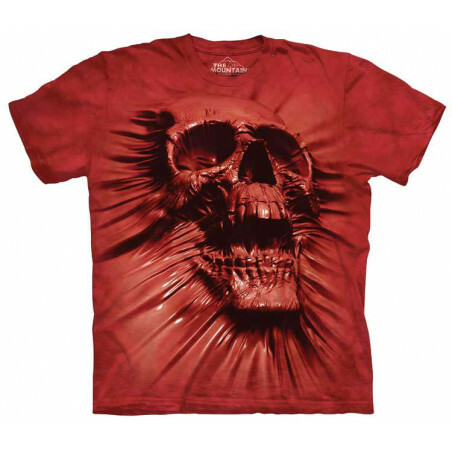 This pseudo 3D t-shirt is for all skull lovers! This amazingly realistic image won’t fade even after many washes. The skull tee is pre-shrunk and has a relaxed fit. Perfect gift for all dark fantasy lovers! Shop now at the clothingmonster.com! Sea dragons aren’t real. You can’t convince us otherwise. But if they were, and you could prove it, the Sea Dragon T-Shirt would be for you. 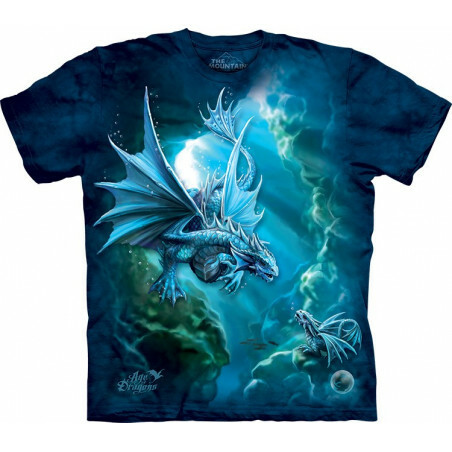 A cool t-shirt, a timeless piece of clothing, let clothingmonster.com keep you outfitted, sea dragons and all. 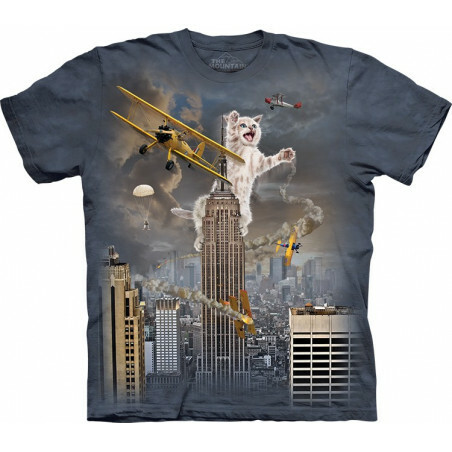 The cool King Kitten T-Shirt is created by the well-known brand The Mountain. 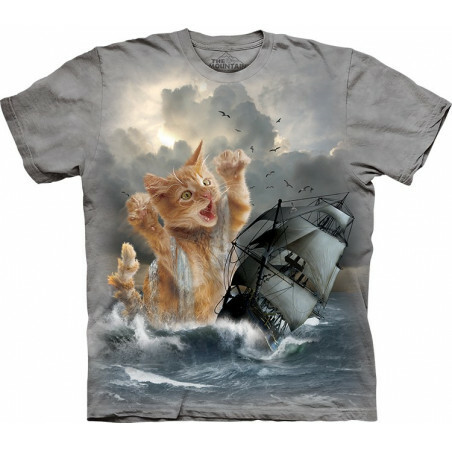 If you are fond of sweet kittens, then this amazing shirt is surely for you. This pseudo 3D t-shirt is hand-dyed with eco-friendly nontoxic inks in the USA. 100% cotton. 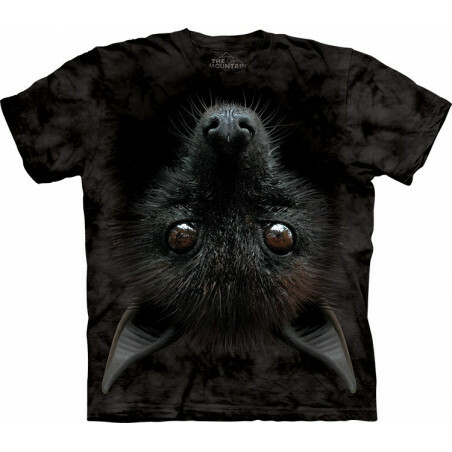 The tee is comfortable to wear and makes for a superb gift! Shop now at the clothingmonster.com! 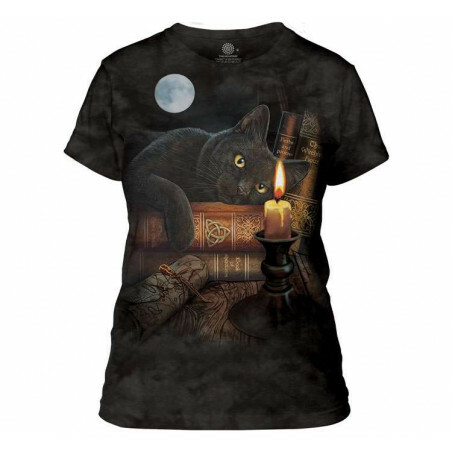 Charming and captivating, the The Witching Hour Ladies T-Shirt is an incredible cat tee from The Mountain. Made from high quality fabric and hand-dyed with special eco-friendly inks in the USA, the lady tee has a fashionable and stylish look. You’ll get lots of compliments on the cool tee! 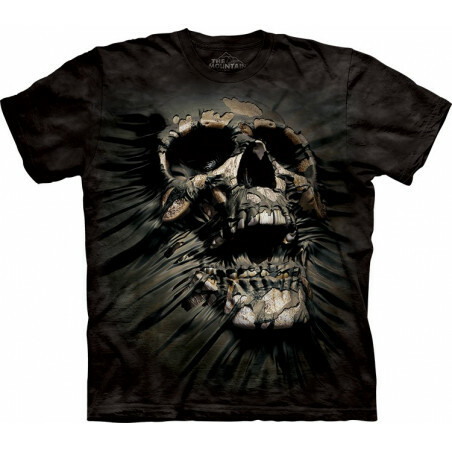 Shop now the pseudo 3D shirt at the clothingmonster.com! The well-known brand The Mountain is known for making eccentric apparels. The ‘Dark Fantasy’ collection belongs to this category. Here you will find T-Shirts, Crew Neck Sweatshirts, Hoodies, Men's Tank Tops, Ladies T-Shirts, and LS Tees. 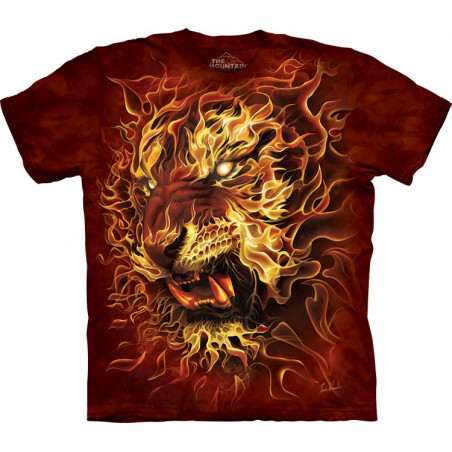 Made from high quality fabrics, the dark fantasy apparels are durable. 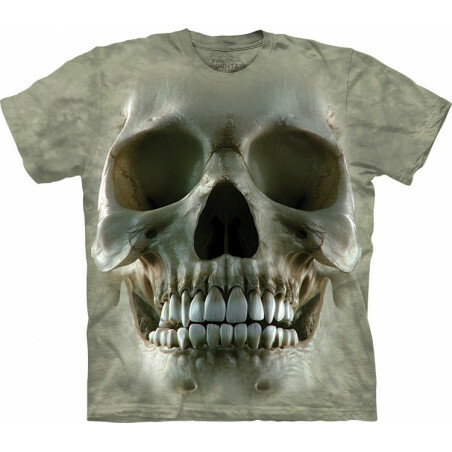 Here you will find horror t-shirts, vampires apparels, skeletons t-shirts, werewolves clothes, zombies t-shirts & more. These American clothing is hand-dyed with eco-friendly nontoxic inks in the USA, in such a way that the images of the 3D clothes won’t fade after even many washes. 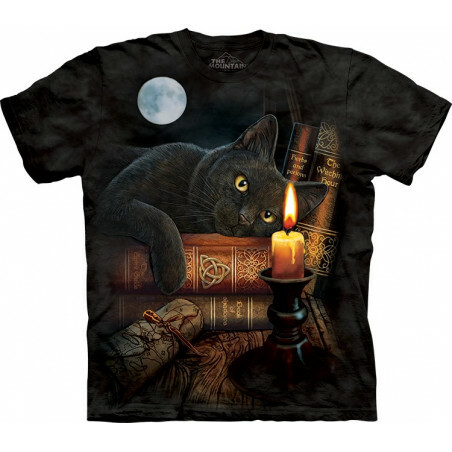 See a wide selection of dark fantasy clothes at the clothingmonster.com!